Modality Systems OneConsultation is a fully managed, customisable virtual consultation service that leverages your existing Skype for Business or Teams deployment. 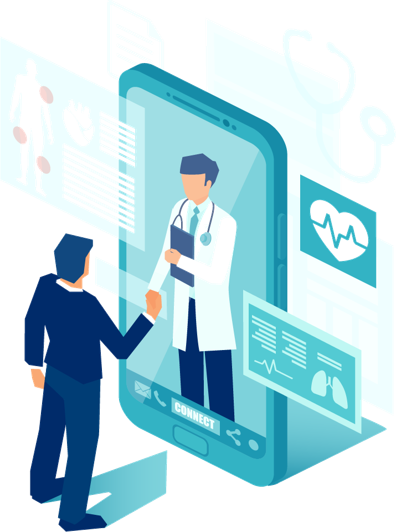 It has been designed for use in the healthcare sector providing a secure virtual consultation room that a doctor can join using Skype for Business and that a patient can join via their web browser on either their smartphone, tablet or PC. OneConsultation can also be adapted for other industries and use cases, where virtual consultations with the general public are a key part of the customer or delivery experience. The service is entirely hosted in Microsoft Azure. No confidential information is stored, doctor anonymity is maintained and no additional apps or plugins are required by the patient to join. The patient enters their consultation via a web site that checks their microphone, speakers and webcam to ensure all is working. Once confirmed, the patient waits in a virtual lobby for the doctor to arrive. The doctor logs into a virtual waiting room and is prompted when a new patient arrives ready for their consultation. When ready, the doctor joins the consultation via Teams for Skype for Business. OneConsultation extends the benefits of Microsoft Office 365 to your patients and can be offered as a full end to end service including scheduling or can integrate with your existing scheduling tools and processes. Using Microsoft technology, the development team at Modality Systems has been working with Berkshire Healthcare NHS Foundation Trust to develop an online solution for Talking Therapies – an approachable service which delivers services to people dealing with anxiety and depression. Our consultation solution, OneConsultation, extends the reach of this service, enabling patients to seek professional support from the comfort of their own surroundings and improve access to care. A patient can simply connect via their smartphone and the doctor can connect using the NHS’ existing Microsoft infrastructure. Want to find out more about OneConsultation or discuss a trial? Send us some information about you and your company and a team member will get in touch with you.